Sierra my four year old loves all things Disney. It is one of my greatest joys having a daughter to share my love of Disney with. The boys don't get me wrong, they enjoy Disney but Sierra and I we know our Disney. We were super excited to check out Playtime With Puppy Dog Pals. 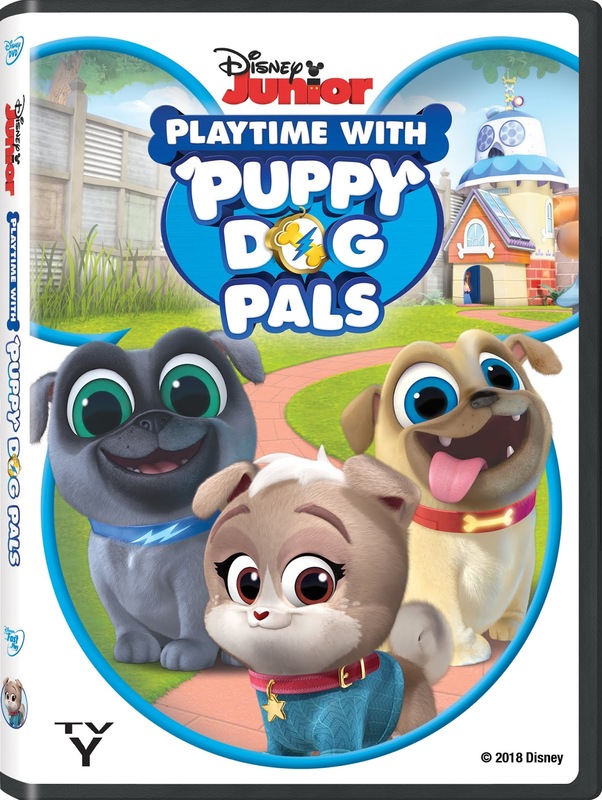 Playtime With Puppy Dog Pals is a cute and inexpensive gift idea perfect for the little one you want to show your love for! The adorable puppy brothers Bingo and Rolly are back! Join the doggy duo on amazing missions: deep-sea diving in the Great Barrier Reef, fetching a four-leaf clover in Ireland, running all over Down Under, and much more! 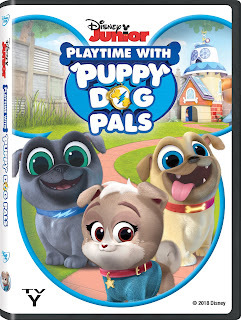 Then, meet their brand-new puppy pal Keia in two exciting bonus episodes! Packed with action, music and a ton of silly fun, these playtime adventures will leave you howling with laughter! Bring home the adventure on Disney DVD January 22nd!